Double Hammock with bug repellant! 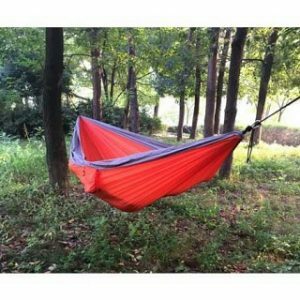 Portable Lightweight Camping Hammock with built-in bug repellant for only $24.99 Shipped! Holds up to 400 pounds, so can comfortably hold two people. Features an integrated drawstring stuff sack that can also be used for your gear, gadgets and personal items.